A key element in the Israeli high-tech success story is accepting failure, learning from mistakes and moving on — a bit wiser for the wear. Read more. New York Stock Exchange (NYSE) marks Israel’s unrivaled presence on Wall Street; holds sessions on Israeli investment trends. Read more. The center will also scout for investment opportunities in technology companies relevant to the car industry. Read more. As we continue to drive the next generation of transportation technologies, OurCrowd has compiled the following infographic that samples some of our portfolio companies making waves in this rapidly evolving market. Read more. See this week’s original newsletter here. Want to learn more about investing in Israel? 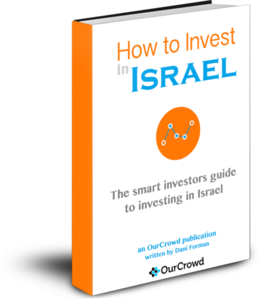 The OurCrowd Guide to Investing in Israel is your comprehensive roadmap into the various opportunities to invest in Israel. Learn from experts who not only have successfully invested in the startup nation, but who have helped build it. The latest from the Startup Nation: a new fund, new Google VP, new job listings, and more… Read up on these news items, below! OurCrowd is launching a sector specific fund fully focused on digital health — Israel’s first fund with such a focus. The $50M fund, called OurCrowd Qure, will invest in early stage startups at the seed and Series A level. Read more. Meir Brand, who has been CEO of Google Israel since 2005, has been named as the new vice president of the technological giant. Read more. Hoping to get your foot in the high-tech industry door? You’ve come to the right place! Check out listings in Israel, USA, Canada, India, China, Taiwan, or Poland. Read more. TripAdvisor will integrate EatWith’s service into its offering to allow tourists to dine at the home of a local chef. Read more. IVC/KPMG report shows July-September financing is second highest quarter in 10 years. Since the beginning of 2016, Israeli tech companies raised $4 billion. Read more. Two Israeli companies, Payoneer and OurCrowd, were rated among the 50 leading established companies, while seven were listed among the emerging FinTech stars of tomorrow. Read more. OurCrowd is growing and currently looking for extraordinary people to join the team behind its leading, innovative and industry-altering crowd investing platform. Read more. The report, which assesses the competitiveness of 138 economies in 12 categories, shows that Israel is the second best place for innovation in the world. Read more. US Department of Homeland Security officials are coming to Israel to discuss including Israeli cybersecurity companies in federal tenders. Read more. China Galaxy Investment Management president Wang Xuejun seeks to expand Israeli-Chinese cooperation. Read more. Israel has become recognised internationally as a leader in the Medical Cannabis field, taking charge of much of the research that is laying the ground for the next generation of development. Read more. Israeli startups iFeel and Neomatix win international competitions for their revolutionary technologies. Read more. DLD brings together exciting new tech, Payoneer raises an impressive funding round, and Israeli R&D is the top choice for the world’s tech giants. 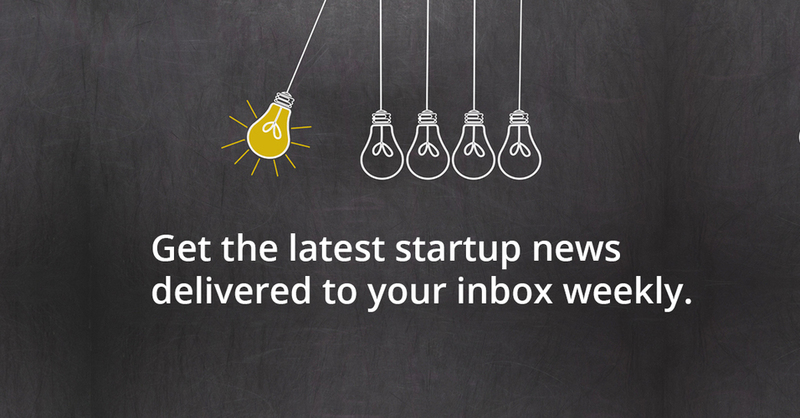 Read on for the latest in Startup Nation. Google, Facebook, Microsoft, and Intel are among more than 300 multinationals that have opened up R&D facilities in the country. But what is it that makes Israel such a hotbed of innovation? Read more. The annual DLD (Digital Life Design) innovation festival in Tel Aviv brings together some of Israel’s most exciting new technologies. Read more. The fintech company enables manufacturers and service providers worldwide to receive payment in their local currency. Read more. Are you up to date with all the disruptive technologies that are changing the CRE industry? Check out OurCrowd’s CRE Tech Review for Q2 ’16! Read more. Last week, the Startup Nation lost one of its dominant influencers — former President and Prime Minister Shimon Peres. He once said that “in Israel, a land lacking in natural resources, we learned to appreciate our greatest national advantage: our minds.” This father of the Startup Nation will be sorely missed. Read up on this story and other news items, below. Former president Shimon Peres, who died Wednesday at the age of 93, was not one to take the easy way out, always looking for new solutions — whether fighting for peace or pushing for new technologies. Read more. OurCrowd featured in City A.M.
14 year ago, founder Benny Landa sold digital printing company Indigo to HP for $830 million, making it one of the 10 largest exits in the history of Israeli high tech. Read more. Tel Aviv plans to earmark one of its neighborhoods as a beta site to test out new technologies with the goal of developing smarter cities. Read more. Intel Israel broke ground on what it claims will be the world’s smartest building. Thousands of smart sensors scattered around the building will use cutting-edge information technologies to gather relevant data and provide what employees need in order to do their work. Read more. Jerusalem, Israel, and Volos, Greece — September 28, 2016 – Centaur Analytics, an AgTech IoT startup that provides real-time stored agriproducts monitoring and protection solutions, announced today that it has raised $1.3 million in a round led by Israel’s most active seed-stage venture fund OurCrowd First, to accelerate the commercialization of its proprietary wireless sensors and cognitive services platform for monitoring and protecting post-harvest product quality. Piraeus Jeremie Technology Catalyst Fund from Greece and Xponentialworks Founder and former 3D Systems CEO, Avi Reichental participated in the round and Mr. Reichental joined the company as its Executive Chairman. Centaur Analytics is the first full-stack IoT provider of solutions that enhance the quality and safety of stored agricultural products. Our proprietary wireless sensors and cognitive predictive and prescriptive cloud analytics enable precision fumigation and real-time monitoring of stored product condition. Our mission is to dramatically reduce the estimated $1 trillion of wasted crops annually from farm to shelf by rapidly deploying our cognitive connected solutions globally. For more information visit www.centaurtek.com. OurCrowd First is Israel’s premier seed-stage venture fund, raised on OurCrowd, a world-leading equity crowdfunding platform. The fund is managed by General Partners Eduardo Shoval and Yori Nelken, both serial entrepreneurs who bring to OurCrowd First’s portfolio over four decades of experience growing multiple early-stage startups. OurCrowd First already curated and funded a portfolio of 13 startups, in high-growth sectors including Internet of Things, industrial energy, Augmented Reality, mobile infrastructure, 3D imaging, digital healthcare, and cognitive systems for AgTech. These Israeli and global investments were made together with leading investors including Softbank, Khosla Ventures, Salesforce CEO Marc Benioff and Artis Ventures. OurCrowd First was recognized as Israel’s Most Active Micro-VC in 2015 by the IVC Research Center. 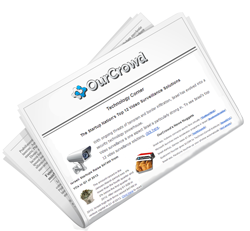 For more information visit www.ourcrowdfirst.com. Established in 2012, the PJ Tech Catalyst Fund is a venture capital fund that invests in seed stage startup companies with a focus on Information and Communication Technology (ICT) and supports the development of entrepreneurship in Greece. Visit www.pjtechcatalyst.com. What’s new? OurCrowd raised $72M in a series C founding round to expand operations. Who’s trending? These Israeli entrepreneurs are making waves and impacting ecosystems around the world. Read up on these news items and more, below. OurCrowd is excited to announce the closing of a $72 million Series C funding round to expand its operations and invest in other businesses. According to Crowdnetic, this is the largest pure equity investment in a crowdfunding company. Read more. The number of Israeli startups taking root in NYC is growing all the time. From big companies that created industries to small startups enhancing market niches, Hebrew-speaking entrepreneurs are helping to propel the NYC tech scene forward. Read more. The battle between online privacy and data sharing is no battle all. Privacy has lost. That’s what Adir Regev, the founder and owner of GO Digital Marketing, thinks, and he should know. Read more. One-on-one with Hillel Fuld, an American-Israeli startup founder, advisor, and tech blogger who lives and breathes the Israeli tech ecosystem day in and day out. Read more.